Do people ask you for the details of your skincare routine but flinch when you provide an itemized list of your cleansers, actives, toners, essences, serums, sheet masks, creams, and sunscreen? Does intimidation prevent friends and family from following your lusciously hydrated example? Do you look at others’ skincare routines on Instagram and shake your head, sure you’ll never have the time/energy/budget for all that? A routine like this can be scarier than alligators if you’re new to this kind of thing. Did you answer yes to any of those questions? Read on. 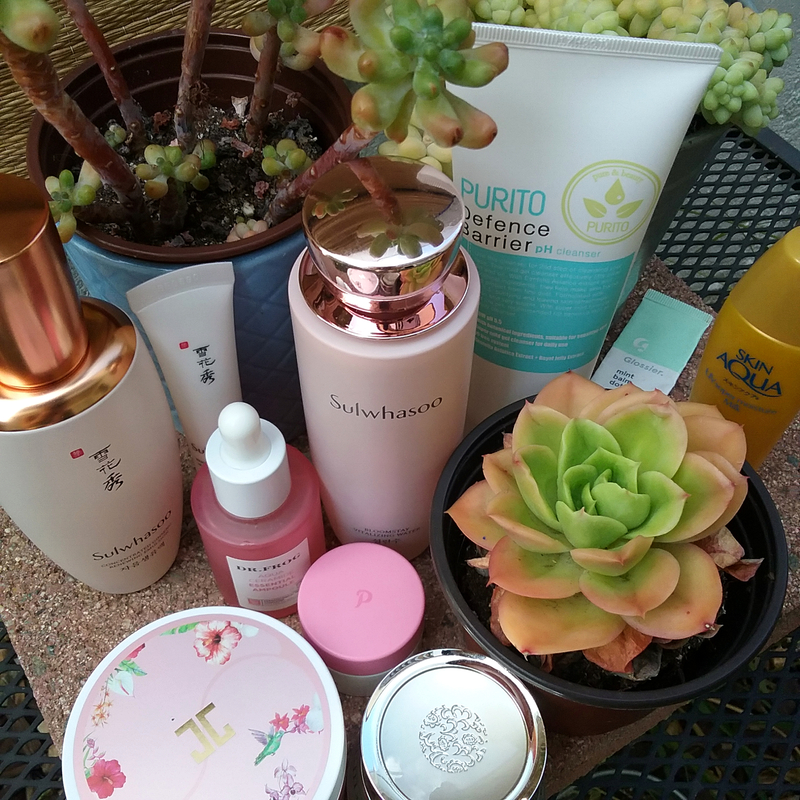 Some images in this post contain products that were provided for consideration or review by Beautytap, where I work, or by brands or distributors. Images do not constitute endorsements. There’s a better way to think of skincare than as a series of disparate products. 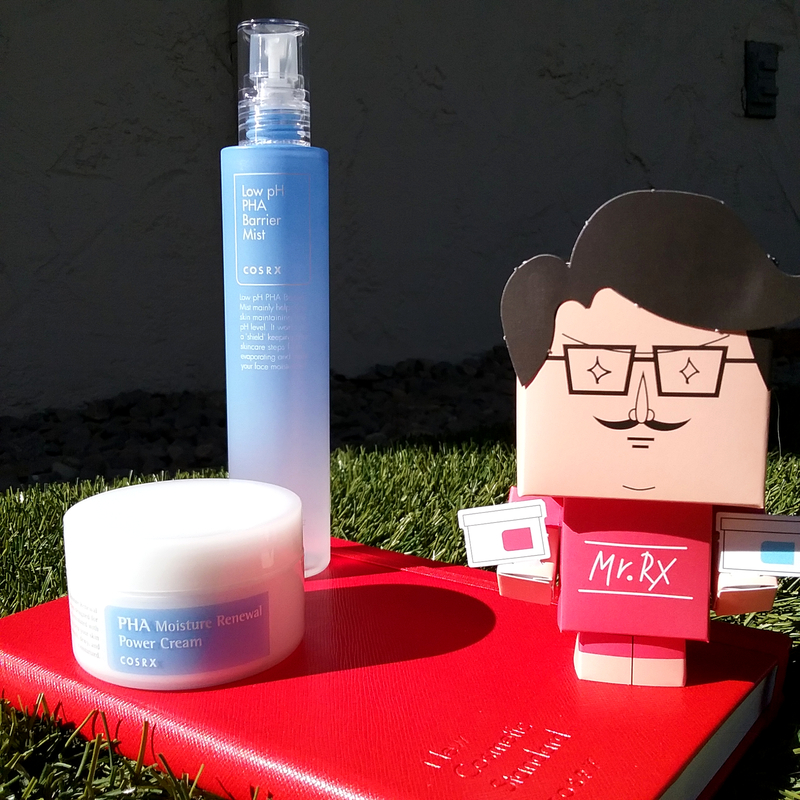 Thanks to YMMV and the infinite customizability of a skincare routine that uses Korean products, it’s unlikely your ideal routine will totally match someone else’s anyway. Instead, envision your routine as a series of concepts, each one building on the ones that came before. This more flexible framework can increase the overall effectiveness of your daily lathering and slathering and reduce unnecessary purchases. Almost every step in any skincare routine is technically optional anyway. There’s no point in trying to quantify the number of products an “ideal” or “complete” routine should have. You can quantify the conceptual steps, however. So here’s an explanation of my five-step skincare routine! Purpose: Removes makeup, sunscreen, dirt, excess dead skin and oils, and environmental pollutants from the surface of skin. Prepares skin for further skincare steps and prevents issues caused by unclean skin. Types of products: Makeup remover, micellar water, cleansing wipes, cleansing water, cleansing oil, cleansing balm, foaming cleanser, gel cleanser, milk cleanser, cleansing cream, cold cream, astringent and acid toners, any watery cleansing-type toner that you apply using a cotton pad or puff. Also, physical exfoliants, clay masks, and clarifying masks. Skin picks up all kinds of dirt and germs. It also produces sweat and oils and tries to shed dead cells. Accumulated grime can lead to clogged pores, breakouts, and general irritation. Your skin may also be collecting free radicals, which cause cell-damaging oxidative stress. Finally, dirty skin won’t glow, won’t absorb products well, won’t provide a nice canvas for makeup, and may interfere with sunscreen. For all these reasons, anyone looking to take better care of their skin should make sure to cleanse regularly. A mild cleanser is the base step for everyone. I always recommend low pH cleansers for their more skin barrier-friendly properties. In other words, not any of these. If you use sunscreen and/or makeup, add an extra removal step before cleanser. I find that regular cleansing water on a cotton pad works fine for light makeup and non-water-resistant sunscreens. For water-resistant sunscreens and/or heavier or long-wearing makeup, grab an oil-based first cleanser. Cold cream is easy to find at the store but not as easy to cleanly rinse as an emulsifying cleansing balm or cleansing oil. Physical exfoliants, like scrubs, enzyme powders, and exfoliating cleansing tools, go in the cleansing step, but use them sparingly. The only ones that can be safely used every day are the most gentle ones, like konjac sponges, very soft cleansing brushes, or low pH enzyme cleansers. Finally, if you’re worried that your makeup removal and cleansing products aren’t getting your skin totally clean, you could consider an astringent or cleansing toner. Personally, I don’t bother. I think that if your cleansers aren’t cleansing, then you should find better cleansers instead of adding an extra step. Purpose: Intensively targets specific skin concerns, like acne, “blackheads,” hyperpigmentation, or visible skin aging. Types of products: Prescription retinoids, effectively formulated AHA and BHA chemical exfoliants, effectively formulated L-ascorbic acid vitamin C serums, acne spot treatments. The products that go in the treatment step are the ones the skincare community calls “actives.” They contain “active ingredients” that have been shown through research to provide substantial, visible changes to skin structure or function when formulated and used appropriately. They’re often labeled like drugs and sometimes they’re actually regulated as drugs. They can increase collagen production, accelerate skin renewal, diminish dark spots, and dramatically reduce acne. Think of actives as medicine for your skin, and treat them with corresponding respect. Should you add a treatment step to your skincare routine? It depends on whether you’re dealing with issues like the ones listed in the first sentence of this section. And if you are, only choose products that treat your particular issues. Since I use BHA to keep visible pores looking clean, I only use my BHA on the areas with visible pores, like my nose and chin. Meanwhile, I don’t have skin texture concerns or breakouts at the moment, so I skip AHA. On the other hand, since I want to look the same as I do now for as long as possible so that I can continue to engage in childish behavior without getting too many side-eyes, I use prescription tretinoin regularly and am about to start testing a new vitamin C serum. Curology is my drug of choice. If actives don’t address your primary skin concerns, don’t use them. They won’t help dry or sensitive skin much, for example. Neither are they ideal for dealing with dehydrated skin. In addition, many actives have side effects and can also cause irritation or overexfoliation if used in excess. Since treatment products can produce major skin changes, they deserve to go first after cleansing in your routine, on bare or very close to bare skin. When layering multiple products in this step, I like to put the pH-dependent ones first, letting each one dry completely before adding the next. Beyond that, these days I just follow the “thin to thick” basic rule of thumb. Purpose: More gently treats skin concerns and supports overall skin health and comfort. Types of products: Hydrating toners, first essences, essences, serums, ampoules, sheet masks, non-cleansing wash-off masks, modeling masks. If actives are medicine for your skin, then the toners, essences, serums, ampoules, and sheet masks used in the nourishing step of a skincare routine are analogous to healthy overall nutrition. On their own, they won’t treat more serious conditions, but they can make your skin look and feel nicer overall by evening out skin tone, plumping and smoothing texture, improving resistance to irritation and damage, and healing breakouts more quickly. Since almost all products in this step have at least some hydrating component, the nourishing step is also analogous to drinking plenty of water. This makes it especially important for dehydrated skin. If your skin is in generally healthy condition, use the nourishing step to keep it hydrated, provide skin-protective antioxidants, and deal with minor problems that crop up. If you’re using actives, use the nourishing step to supplement your treatments by keeping the outermost layers of your skin hydrated, comfortable, and glowing. Nourishing products do often include functional ingredients, like niacinamide for skin brightening. They can deliver real skin change, but generally less drastically than treatment products. The nourishing step offers the most potential variety for your skincare routine. You can find toners, essences, serums, ampoules, and sheet masks that target pretty much any skin concern, contain pretty much any fun ingredient, and sell at pretty much any price point. If you want to go wild with your products, this is the place to do it. And if you want to keep things minimal and your skin doesn’t crave more, don’t feel obligated to go overboard! You’ll find plenty of ginseng in the nourishing step of my routine. And snails and propolis, of course. As with actives, layer any nourishing products in order from thinnest to thickest or lightest to heaviest. Put sheet masks at the end of this step. If you want to know why, check out this blog post. Purpose: Seals hydration and helpful ingredients from previous steps into skin to maximize benefits; maintains skin softness and comfort. Types of products: Emulsions, creams, moisturizing gels, gel creams, sleeping packs, balms. Moisturizers are one of the most familiar types of skincare products out there, and there’s not much to be said about them. They keep your skin moisturized. Every day, skin loses some of its water content through the epidermis in a process called, oddly enough, Trans-Epidermal Water Loss (TEWL). Dry skin and skin with a compromised moisture barrier lose water faster, but even normal and oily skin experience some TEWL. Since the water in your skin keeps it plump and glowing and helps skin function at its healthiest, TEWL is not kewl. The main function of moisturizers is to reduce TEWL. They do so through a combination of emollient and occlusive moisturizing ingredients. Emollients fill in the microscopic crevices in skin for a smoother surface texture. Occlusives sit on top and create a barrier against moisture loss. Most moisturizers also contain at least some hydrating humectant ingredients to add more water to your skin’s tanks. While nearly everyone could benefit from a moisturizer suitable for their skin type, moisturizers are extra important for dry and dehydrated skin. A mist and a moisturizer can constitute a nice fast morning routine in a pinch. It’s rare for a moisturizer to deliver results beyond simple moisturization, and that’s okay. That’s what the treatment and nourishing steps are for. Look for a moisturizer with a consistency and finish appropriate to your skin and some qualities that will help you enjoy using it regularly. Purpose: Shields skin from UV radiation to prevent skin cancer, visible skin aging, and hyperpigmentation due to photodamage. Properly applied sunscreen is the absolute most important step in any skincare routine. Sun protection matters for everyone, whether or not you care about dark spots or sagging or wrinkles or loss of elasticity. Sun protection matters for everyone because short of hiding in the darkness from sunup to sundown every day, sun protection is the best way to reduce your risk of getting skin cancer. If you do care about dark spots or sagging or wrinkles or loss of elasticity, sun protection matters because UV damage causes or exacerbates all those things. None of your treatment or nourishing products will improve your skin if you’re still taking sun damage. In fact, sun exposure can cause even more damage when you’re using actives like retinoids and AHAs, since those increase photosensitivity. In my experience, people who don’t use sunscreen every day typically don’t because they think all sunscreens look and feel gross on skin. That is completely not true. The Korean and Japanese beauty industries offer an insane variety of sunscreens to choose from, in all consistencies and finishes, including many totally not gross-looking or gross-feeling ones, and with mostly high protection ratings. Even Western beauty brands are coming out with more and more cosmetically elegant sunscreens. Sunscreens are very important to me. Lord Fiddy and I empty another sunscreen tube every couple of weeks or so. 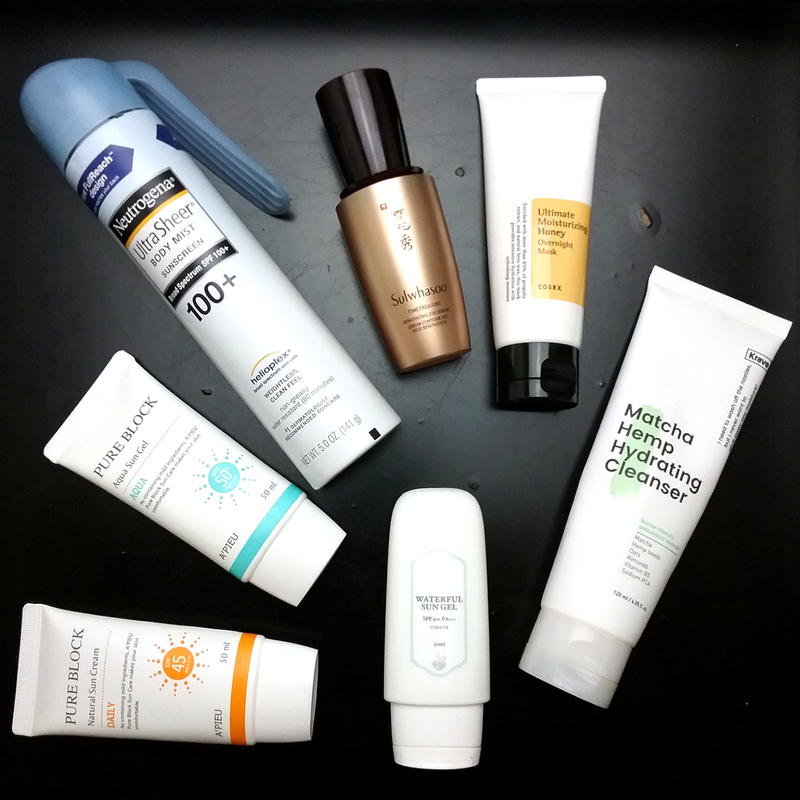 Poke around in my sunscreen reviews here and on other blogs as well as across Instagram. Pick out a few that sound interesting to you and start experimenting. Chances are, you’ll find at least one that you can use comfortably every day. Then use it. Cleanse, treat, nourish, moisturize, protect. Five simple steps with near-infinite possibilities to achieve your best skin. But do you have to do all five steps all the time? Hell no! It’s entirely up to you every time. My own morning and evening skincare routines look very different from each other. That’s for a few reasons. One, while I see benefits from every layer of my often staggeringly extensive evening skincare routine, so many layers wouldn’t sit well under sunscreen and makeup. And two, I don’t have the damn time in the morning for all that plus sunscreen. 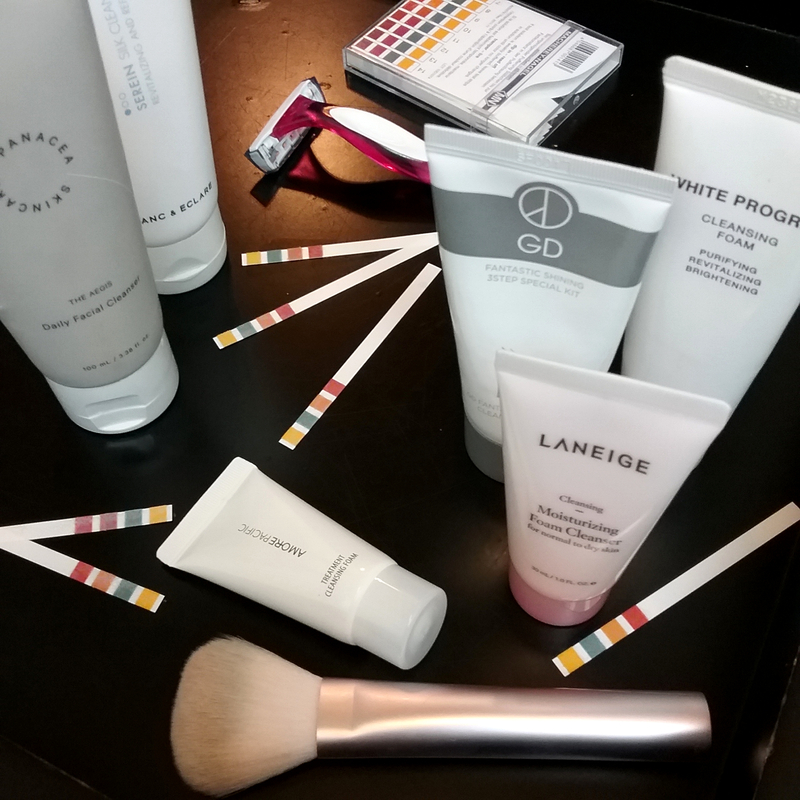 So while I do throw down on most evenings, in the mornings I generally stick with the very basics: cleanser, one or two nourishing steps if I have time, moisturizer, and sunscreen. Sometimes I skip moisturizer and use a moisturizing sunscreen instead. Sometimes I go straight from cleansing to moisturizing. It all depends on the day. A lot of the skincare routine questions I get come from a place of believing that there is only one right way to assemble a skincare routine. There isn’t. It all depends on your skin, your lifestyle, your priorities, and your budget. That’s what’s so great about K-beauty. So don’t get too hung up on the number of steps, and don’t get hung up on having every possible product type you see. You may not need everything, or you may do best with more than one of one particular thing. Just pick a starting point and begin experimenting from there. Before you know it, you’ll have your very own beautiful skincare routine, with as many steps and products as you need. Like this, my perfect morning skincare routine that I only really have time to do once or twice a week. Curious about my day-to-day skincare routine? Come follow my Instagram account for way more routine posts that anyone actually needs to see! Most of those sunscreens contain chemical sunscreens that kill coral and damage the oceans. It would be nice to have some options that do not harm the ocean while also protecting our skin – and have those products promoted instead. I know, this is your blog, and you can do whatever you want. It certainly is a concern. However, oxybenzone, the organic UV filter that can damage coral, is not found in any of my favorite sunscreens. While it’s very commonly used in US sunscreens due to the very limited selection of filters approved by the FDA, it’s much less common in Asian sunscreens. In fact, none of my favorites contain it (A’Pieu Pure Block Aqua Sun Gel, A’Pieu Pure Block Natural Sun Cream, Earth’s Recipe Waterful Sun Gel, Skin Aqua UV Super Moisture Milk). There are plenty of non-problematic organic UV filters out there, and I do still prefer those over mineral filters due to the superior cosmetic elegance. Don’t go swimming in the ocean then, lmao. I’m not going to slather $15 sunscreen found in tiny bottles on my face only to go diving into the ocean afterwards. Korean sunscreens is mainly used for daily wear when you’re out bustling in the city or the countryside. Leaving the coral reef aside, it’s important to know that if you put things down the drain then you put them into the ocean. Household waste water goes into the sea (in most industrialised countries of the world). It’s debatable how much sunscreen is having an effect on the coral reef compared to warming waters, acidification, overfishing and plastic, but if you wash your face and the water is going down the drain, your sunscreen is getting into the ocean. 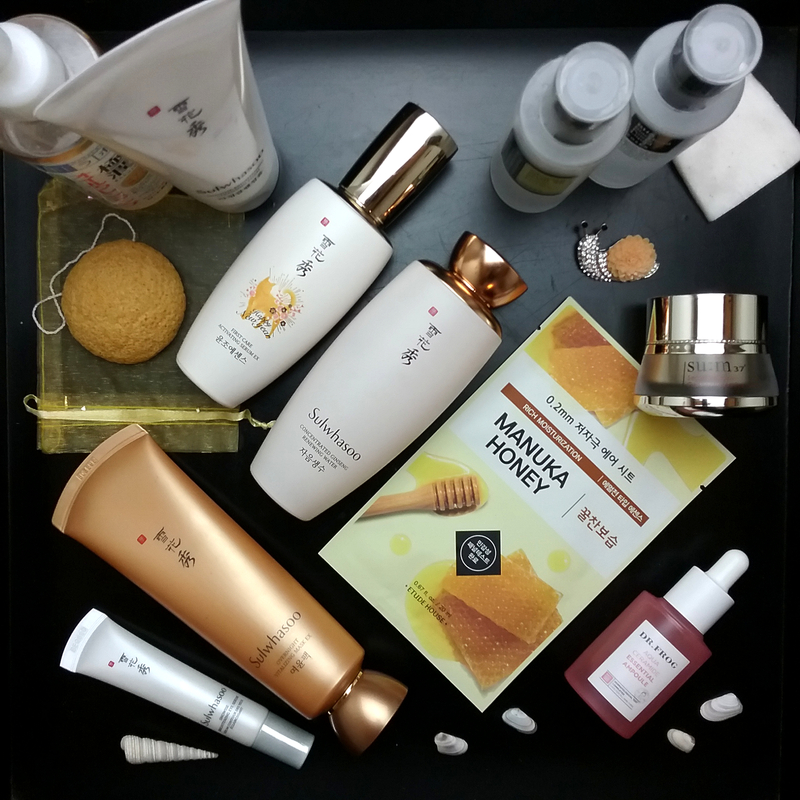 Could your next post be about how to apply different types of skincare products? I thought I finally had everything figured out about starting an asian skincare routine but now I’m looking all over IG and people are talking about applying chemical exfoliants with cotton pads and I didn’t even know you had to do that. I was assuming everyone used their hands for everything. I do use my hands for pretty much everything (except cleansing water!) and sometimes my BHA, but unless you’re using the product specifically to wipe things off, a cotton pad is definitely not necessary. Don’t get too hung up on finding the right way to do things–as long as the products are getting on your face evenly, you’re doing just fine! For the record, with almost all products, I just smear them on and then sometimes pat them in a bit. Hi! I was wondering if you could please review “The Saem – Eco Earth Power Pink Sun Cream SPF50+ PA++++ ?” I’ve heard it’s a really great product. I enjoy your blog. 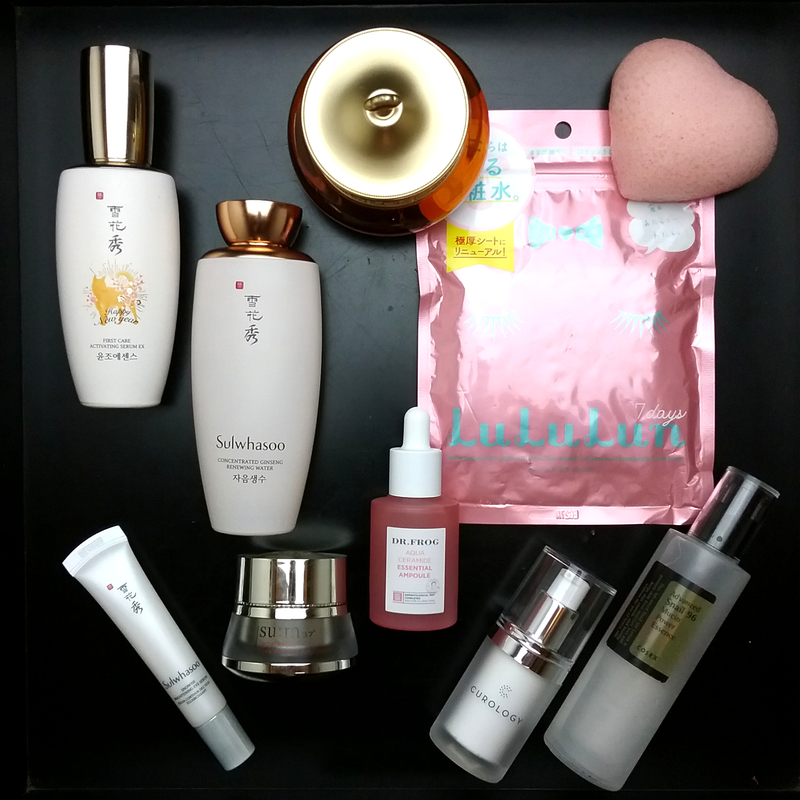 It is one of the reasons I got into Korean Beauty. I have so many questions but I am more curious about one particular sunscreen. Sulwhasoo has a nice UV protector called Snow Wise Brightening UV protector. I was wondering if you know of it and have used it or possibly could so to get your thoughts on it. I see you like Sulwhasoo brand a lot. I enjoy this sunscreen but havent tried anything else from the brand. Hey, Jude. 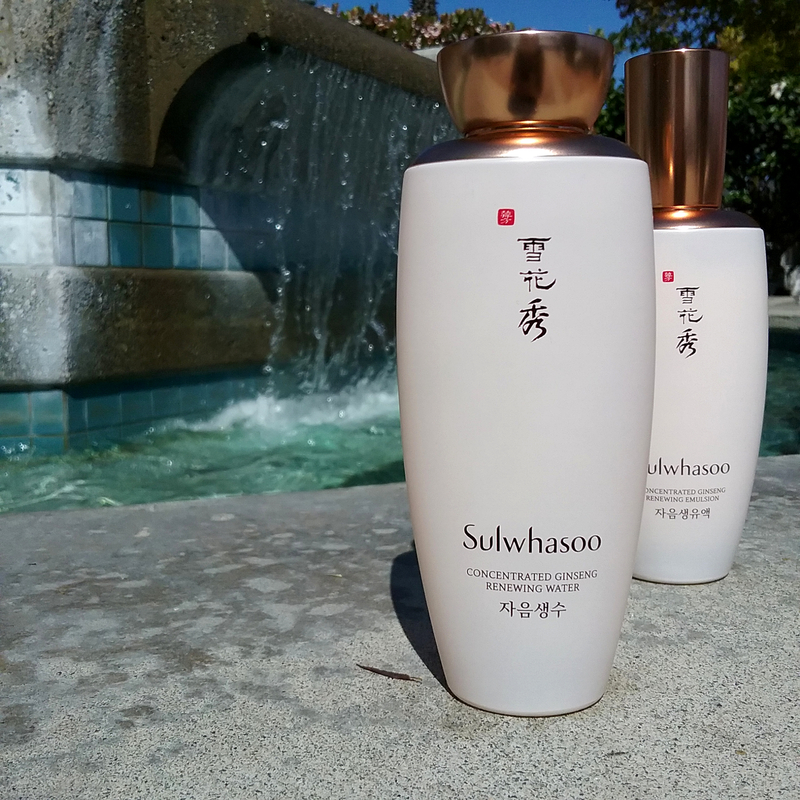 Y’know, partly due to this post, I finally tried the Sulwhasoo Concentrated Ginseng Renewing Water (and emulsion). 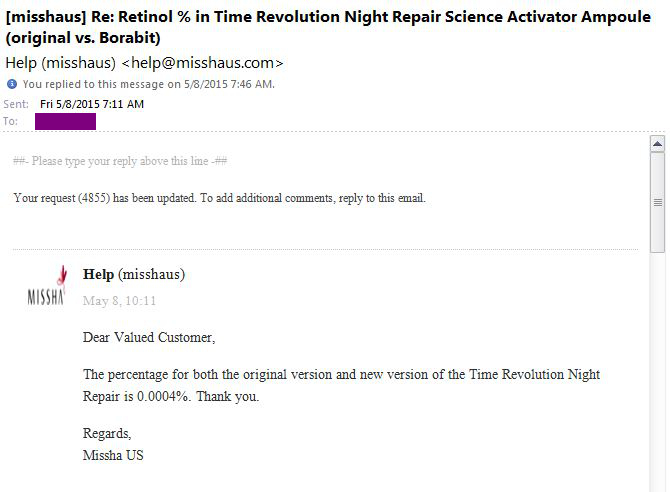 I’m very partial to their First Activating Serum, and the Ginseng line, but OMG, that toner (the Renewing Water) STINKS! I mean…yes, they use fragrance in everything, and it drives me a bit nuts, but that particular product is the stinkiest of them all. It almost made it impossible for me to use.